Matt Wolfson advises compensation committees and senior executives on the full range of executive and director compensation matters. Matt’s areas of expertise include total compensation strategy, short- and long-term incentive plan designs, executive and director compensation benchmarking, alignment of pay and performance, equity valuation, proxy disclosure, employment agreements, severance and change-in-control arrangements and governance best practices. In addition, Matt has extensive experience advising clients on compensation issues related to corporate transactions, including mergers, acquisitions, IPOs, spin-offs, and other restructurings. Matt has consulted in executive compensation for over a decade, working with public and private organizations in all stages of development, from pre-IPO to Fortune 100 companies. He has a broad range of industry experience including aerospace and defense, chemicals, business services, consumer staples, energy, financial services, industrial manufacturing, pharmaceuticals, real estate and retail. Matt also has experience working on international compensation issues with multinational organizations headquartered or domiciled outside the United States. He is a frequent writer and speaker on executive compensation, director pay and board governance issues. 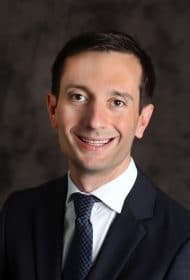 He has co-authored articles on topics including incentive plan goal setting, effective compensation committee processes, director compensation and change-in-control practices and has been quoted in articles published by The New York Times and Equilar. Matt is a regular presenter at events held by Corporate Board Member, Equilar, National Association of Corporate Directors (NACD) and the National Association of Stock Plan Professionals (NASPP). Matt also currently serves as a Director of the NASPP’s Chicago chapter. Matt is an attorney and prior to joining Meridian, Matt was a consultant with Hewitt Associates in its executive compensation practice. Matt began his career with Arthur Andersen & Co. and BDO Seidman, LLP working in their litigation support groups.